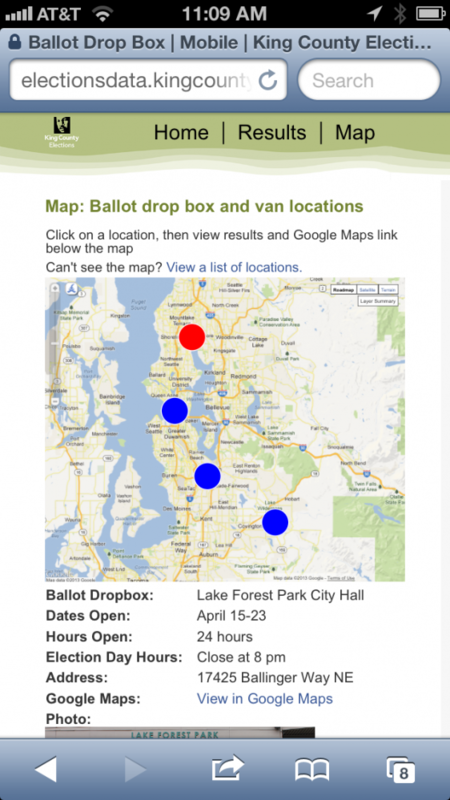 Kathy E Gill | Mobile Site/King County Elections - Educator, WebUX, Writer. Rabble-rouser. 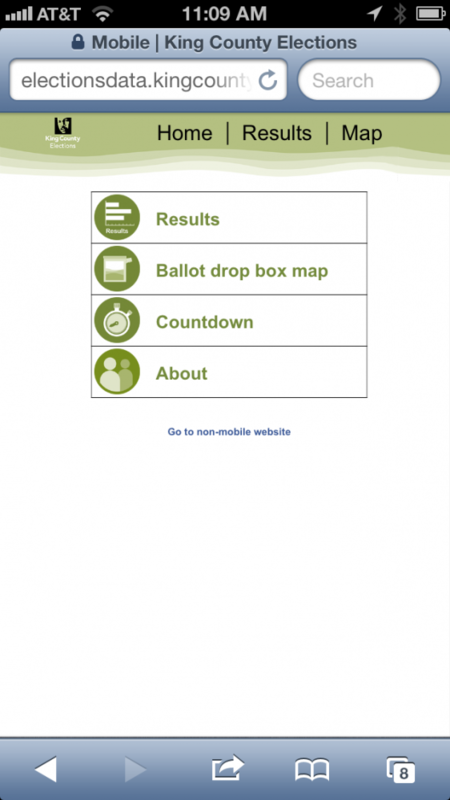 Mobile-optimized web site for King County Elections results. 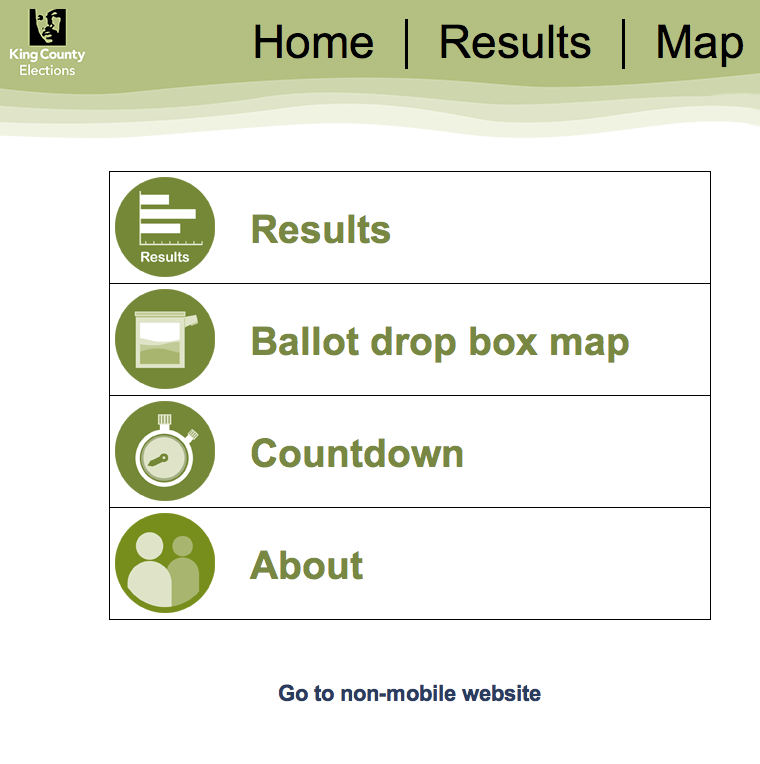 King County Elections wanted to develop a mobile application or mobile-optimized site to display election results. Because the county manages ballot drop boxes throughout the area, I suggested adding this geo-centered information. The mobile site does not have the same functionality as a mobile app, but there is a link to Google maps for directions. 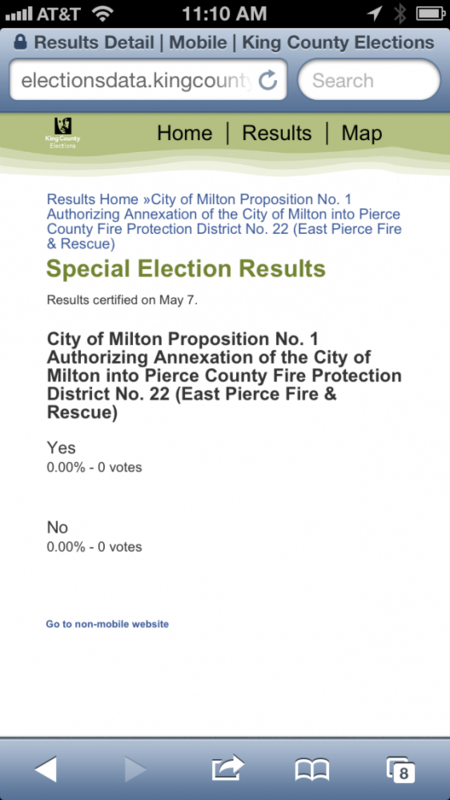 The data and mapping services are hosted at Socrata, a Seattle-based open data company. I served as technical lead, managing persona development, wireframes and screen flow, as well as testing. My intern developed the icons.